Summary: If you are in the market for a new house and are on the fence about purchasing, you should first consider some of the cons that come with such a hefty investment. There are certain big purchases you probably have on your list for the future. Purchasing your own car is a milestone investment that can drastically change your life by giving you the freedom to move around and go where you need to go. Similarly, having your own house can give you the freedom to settle in and live how you want. There is something special about owning a house. Having a place you can truly call your own and having the ability to modify it to fit your needs can be exciting. That being said, before making any big investment it is always wise to weigh the advantages and disadvantages. 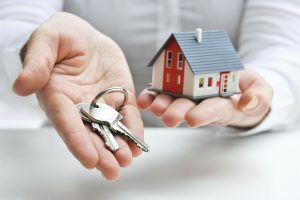 Despite all of the positives that come with purchasing a house, there are some downsides that could make you think twice. Over time, markets will experience periods of growth and periods of decline. The real estate realm is no different. Construction advisory services and real estate experts would inform you that the neighborhood, developments in the area, and other external factors could influence how valuable a given property is. As such, you run the risk of losing money if the value of your house declines after you purchase it. Another thing homeowners need to worry about are maintenance costs. When you own a property you are responsible for keeping it in good condition. Lyle Charles and other experienced workers in the construction industry would stress just how crucial regular upkeep, such as repairing pipes or remodeling to meet city codes, is for your house.